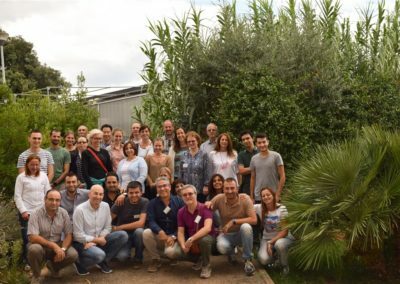 Scientists from all over the world participated at a workshop in Locorotondo, Italy, on the early detection of Xylella fastidiosa. 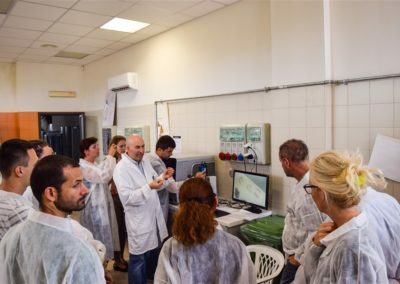 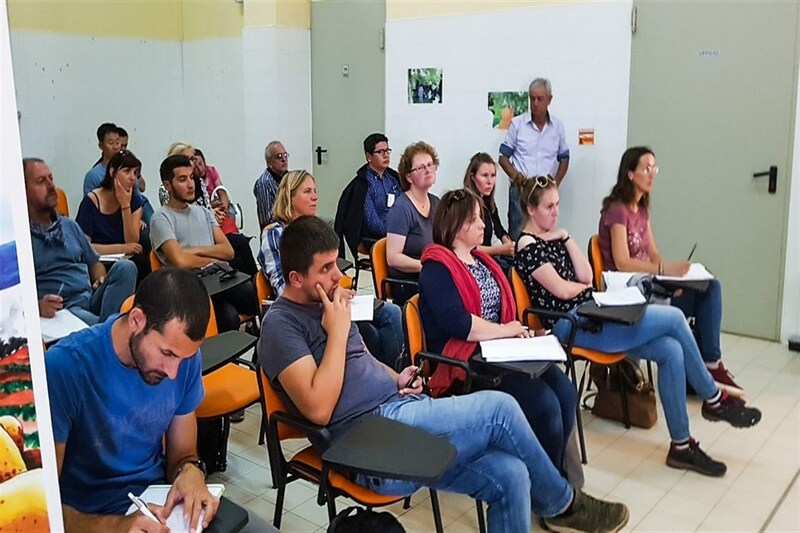 Last September, a successful training workshop on sampling and diagnosis of Xylella fastidiosa has been held in Locorotondo, Bari, Italy, at CRSFA Basile Caramia. 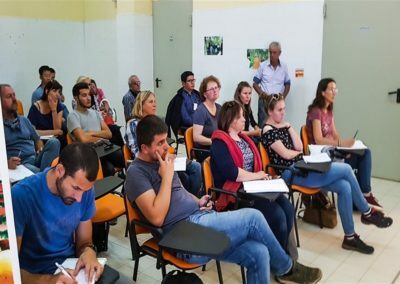 A second edition, foreseen for late January 2018, will be organized by ANSES, partner of POnTE project. 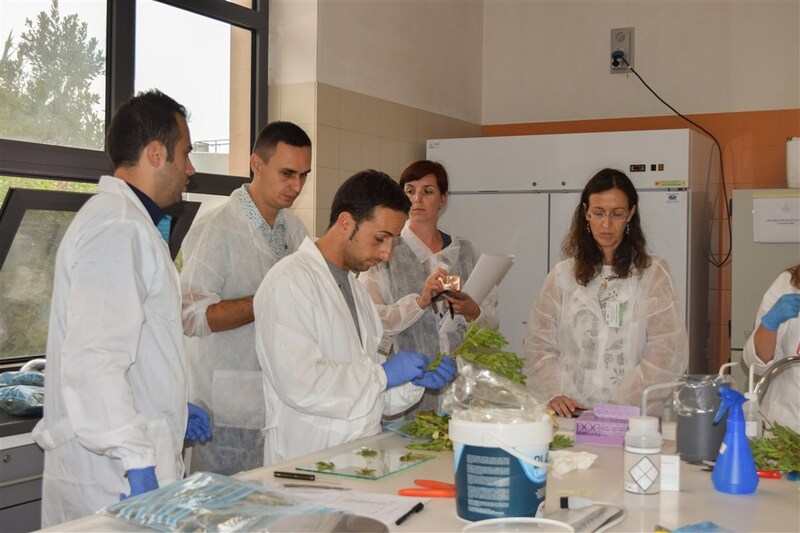 A technical workshop on ‘Sampling and diagnostic tools for Xylella fastidiosa”, jointly organized by the POnTE and XF-ACTORS projects, was held in Locorotondo (Bari), Italy, from 19 to 22 September 2017. 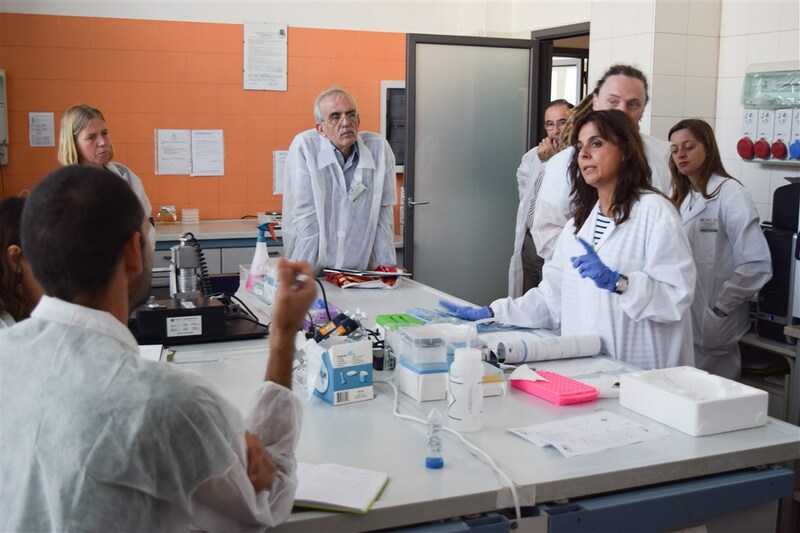 The training event hosted 19 international participants from 17 countries for a 3-day laboratory session and a 1-day field session program. 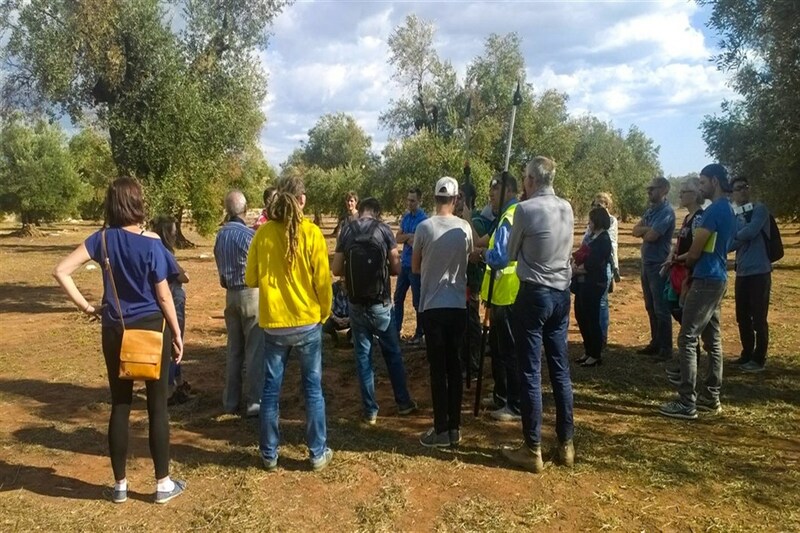 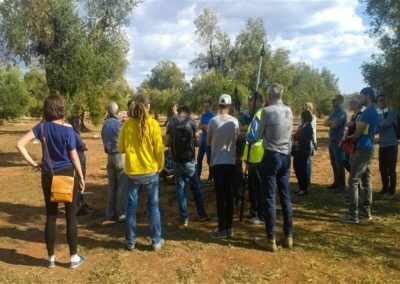 With the objective of building capacity in the early detection of Xylella fastidiosa worldwide, the participants – all experienced phytosanitary laboratory operators – had the opportunity to follow step by step the most commonly used diagnostic procedures and to visit Xylella-infected olive groves in the demarcated infected area as well as the ongoing experimental trials on olive trees. 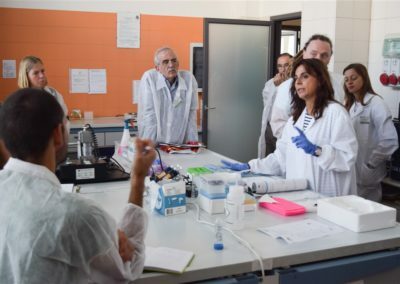 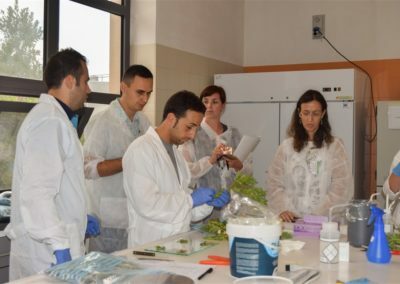 During the four-day training, the practical sessions focused also on the analysis of the critical steps for Xylella fastidiosa detection, such as how to overcome technical limitations of sample preparation and detection methods, improve the diagnostic protocol performances, and interpretation of the analytical outcomes. 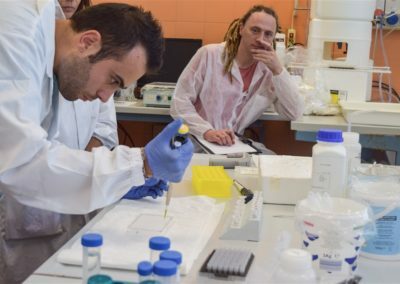 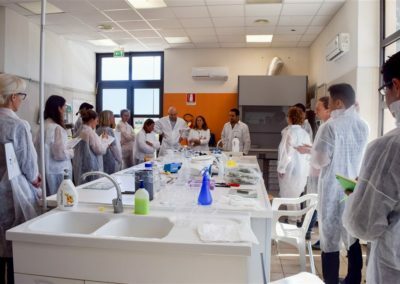 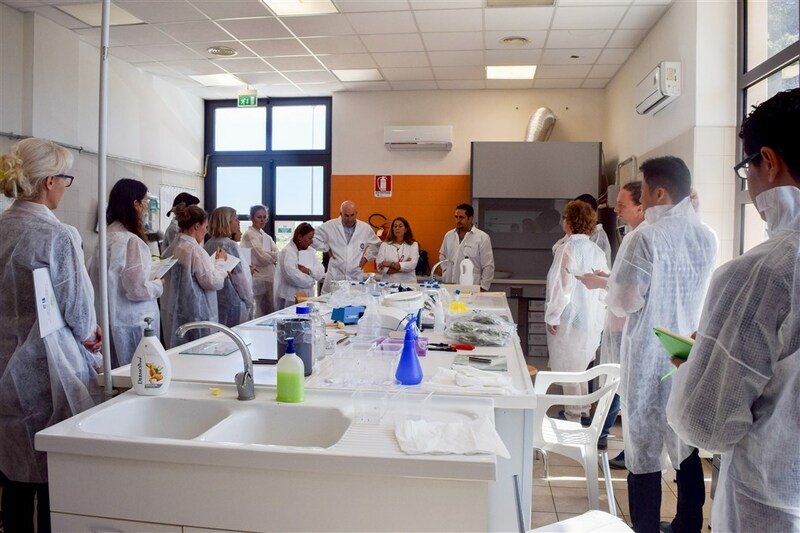 The 19 participants were tutored in the laboratory by a team of 15 experienced tutors and laboratory assistants, belonging to the scientific organizer bodies: CNR-IPSP, Bari, Italy; DiSSPA-University of Bari, Italy; CIHEAM-IAMB, Valenzano, Italy; and CRSFA Basile Caramia, Locorotondo, Italy. 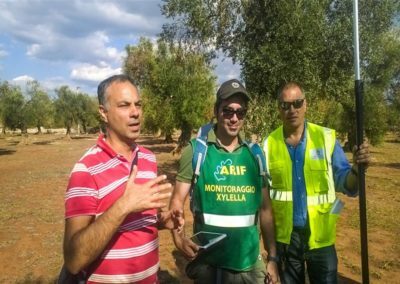 The high relevance of the social and economic damages caused by the Xylella fastidiosa outbreak in Apulia was explained by Dr. Federico Manni, representative of the Cooperative Acli Racale, one of major association of local producers and stakeholder partner of the POnTE project and supporter of the field day. 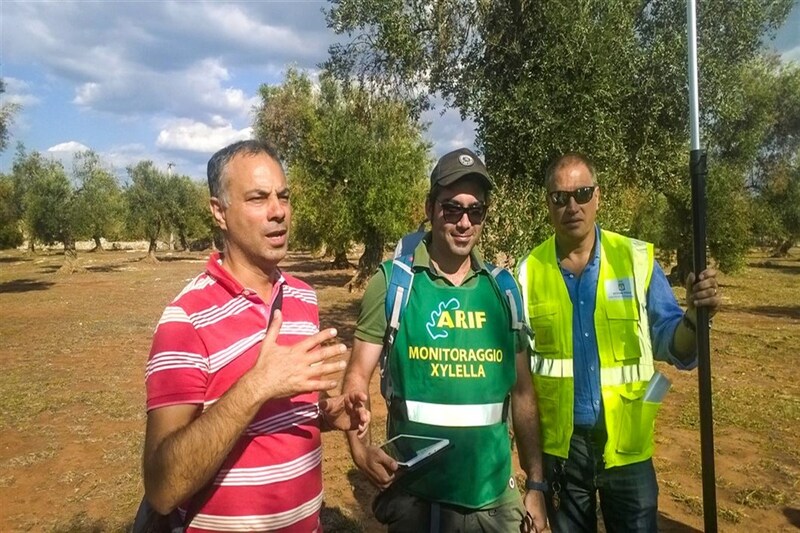 The participant logistics and general organization of the Workshop were managed by Agritest srl together with the kind collaboration of CRSFA Basile Caramia, and supported by the Agritest POnTE Project funding. 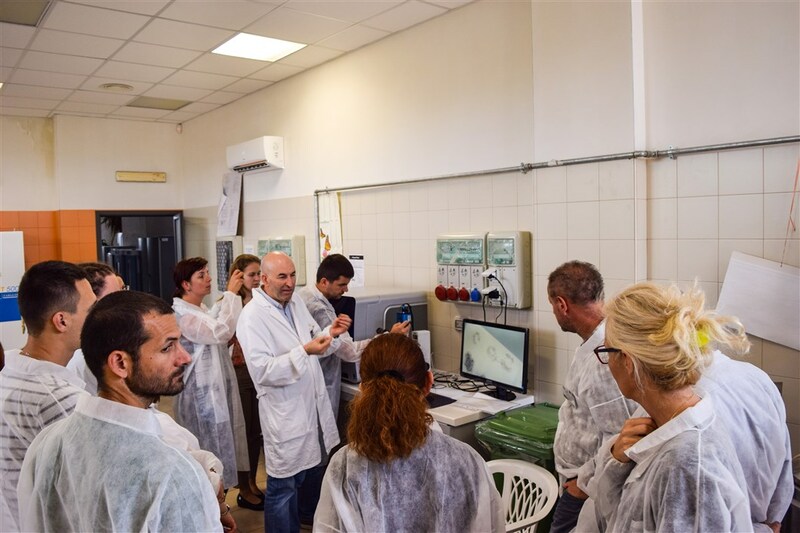 A new edition of the training workshop will be held in January 2018 under the organization of Anses, the French Agency for Food, Environmental and Occupational Health and Safety, partner of POnTE project. 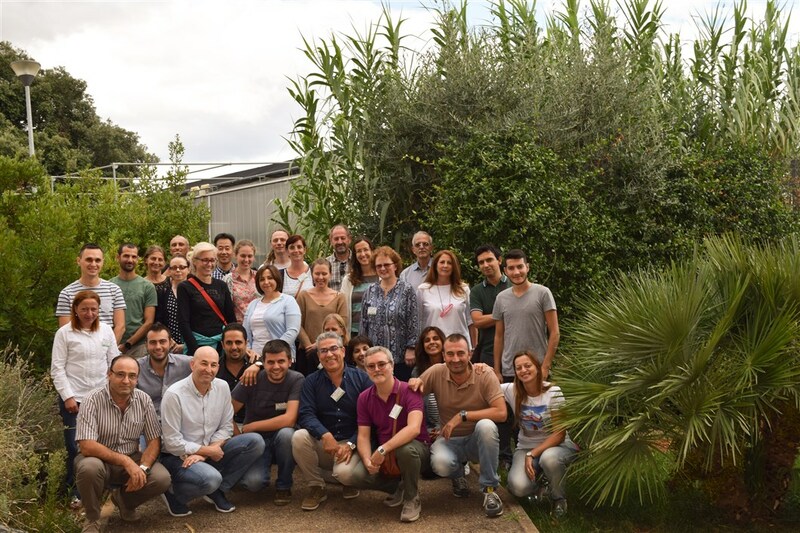 For the full report of the workshop, please visit the POnTE project website.